A new company formed by adventurers and extreme athletes is aiming to make shaky action shots a thing of the past. Launched November 22 on Kickstarter, the FlowMotion One is is a three-in-one — wearable, mountable, and handheld — smartphone gimbal that has a few smart features of its own. 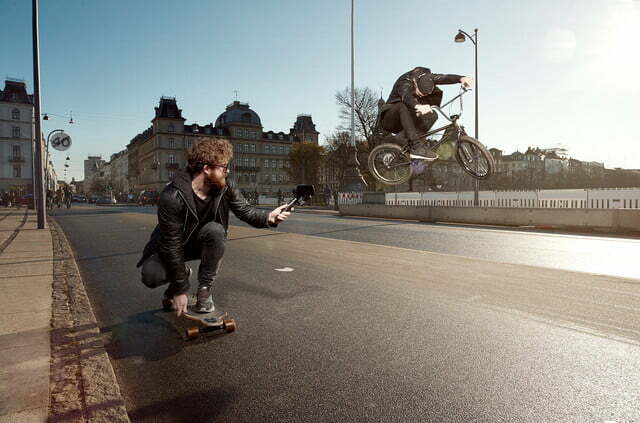 The FlowMotion One makes a simple design change that allows the gimbal to be worn and not just used by hand. With most gimbals, the battery is in the handle, but by moving the One’s three-hour battery behind the smartphone, the handle can be removed, allowing the gimbal to be worn or mounted while taking up minimal space — about five inches above the mount. (DJI’s Osmo gimbal, for example, can be added to a $60 chest strap, but that handle stays put, dangling off the strap). After reaching its funding goal in only an hour, the FlowMotion One is now 1,000 percent funded and expected to begin shipping in April 2017. 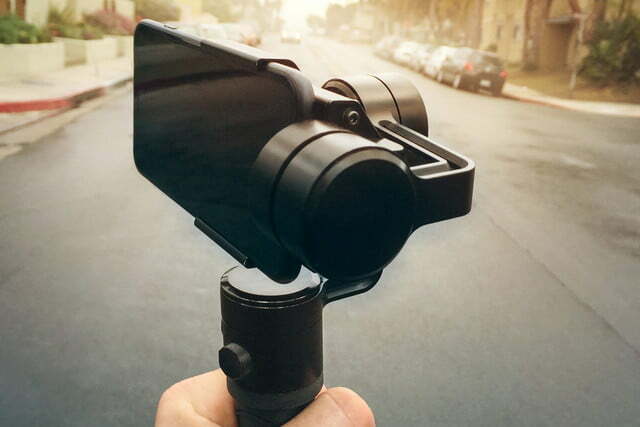 The crowdfunding success has also allowed its developers to add a GoPro adapter to modify the stabilizer for use with both popular action cameras and smartphones. The GoPro adapter is an additional $9 add-on, and will be available on Kickstarter until January 10, 2017. The gimbal includes a GoPro mount that allows the system to be used with a variety of different mount systems, from chest and helmets to bikes. In handheld mode, the handle uses a joystick for additional control over the footage. The design also allows the gimbal to be easily tucked inside a jacket pocket or a purse — the entire set, with the battery removed, takes up about as much space as a soda can. The gimbal weighs about 10.5 ounces, while the detachable handle adds another 3.5 ounces. 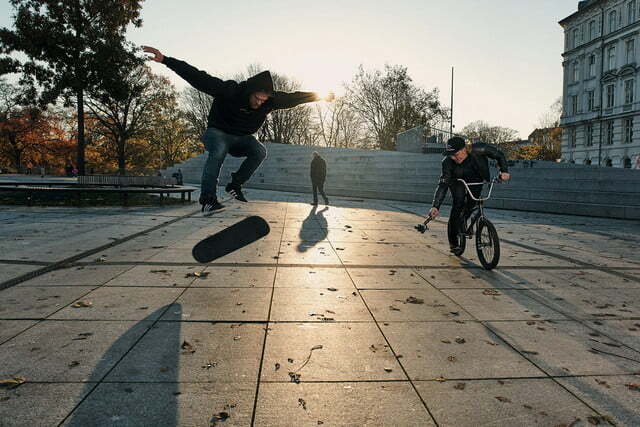 While advancing facial recognition technology makes it possible for smart gimbals to follow faces, FlowMotion’s app will allow for both face and object tracking. The app will feature touch to focus, with a press telling the gimbal to always keep that object in the frame. 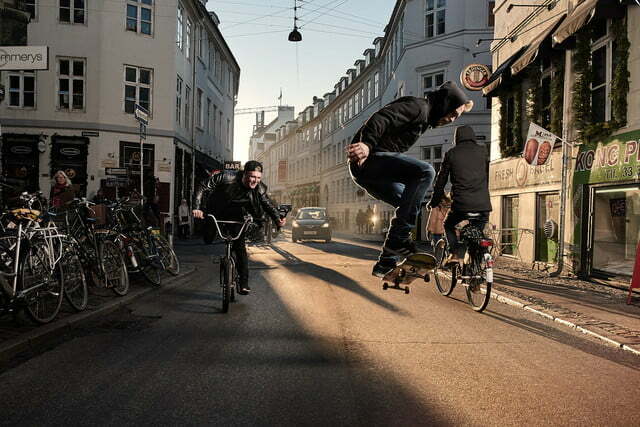 Along with the smart-tracking feature, the app is expected to include active, locked, 360, and time-lapse modes. 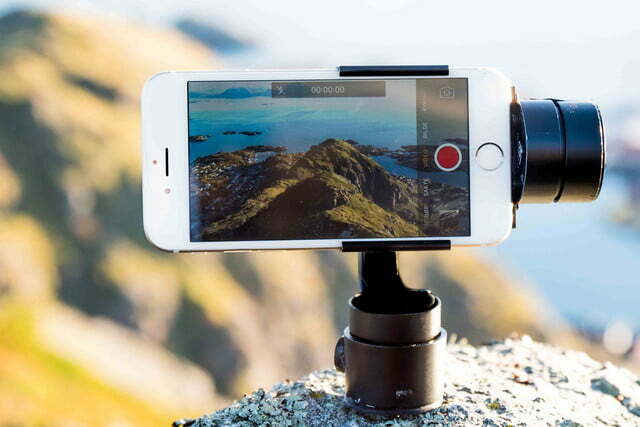 A low-power Bluetooth connection allows the gimbal to communicate with the smartphone wirelessly. Dimmen says that FlowMotion is also aiming to tackle a more recent problem — a smartphone’s optical image stabilization system actually working against the gimbal and creating shaky footage even while the camera is not moving. The One, the company says, has been designed to also work with smartphones with a built-in stabilization system, like the iPhone 7. With stabilization first coming into play on the iPhone 6, the issue is a more recent one — and one that FlowMotion wanted to tackle, Dimmen said. The startup company has locations in California and Norway and — prior to the launch of the Kickstarter— had already secured $370,000 in funding. The iPhone- and Android-compatible FlowMotion One lists for a $199 pre-order on Kickstarter. Originally published on November 22. Updated on 12/15/2016 by Hillary Grigonis: Added information about the FlowMotion One surpassing its funding goal, its shipping date, and the addition of an adapter by developers.